Listening to this album is a bittersweet feeling for me. Like every A Tribe Called Quest fan, I was ecstatic (akin to a kid on X-Mas morning) when they announced that they would reunite to release their first album since 1998’s The Love Movement (and sixth overall), We Got It From Here… Thank You 4 Your Service. However, the news arrived following the tragic passing of Phife Dawg, due to complications from diabetes. The album is a return to Tribe’s trademark eclectically jazzy sounds, while the likes of Kendrick Lamar, Jack White, André 3000, Consequence, Busta Rhymes, Talib Kweli, Anderson .Paak and Elton John join them throughout the 16-track album. A mixture of The Ummah sonics of before with some of the top artists today who’ve been inspired by the Native Tongue, it comes at a time when many Americans are unsure of their very futures and the one thing that could take them away from that is music. The tracklist — with features — can be seen below. This all comes ahead of their anticipated performance on Saturday Night Live, with guest host Dave Chappelle, as well as a street in Queens being named after Phife Dawg. 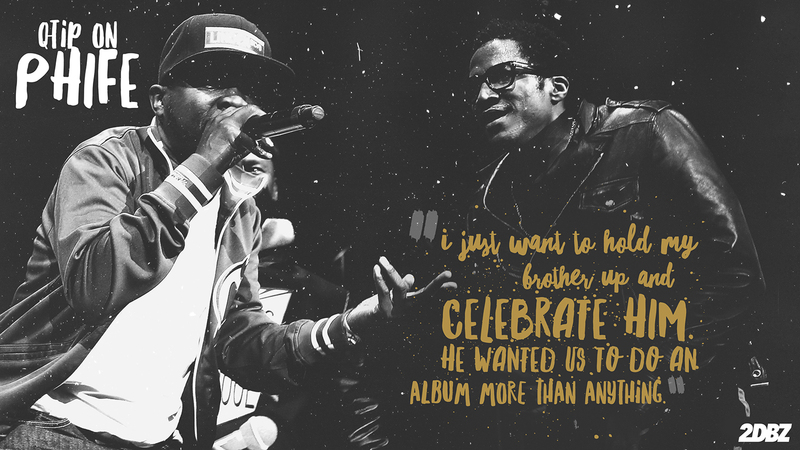 We Got It From Here… Thank You 4 Your Service officially arrives at midnight with pre-orders available on iTunes.